Noted linguist, actor, CapitalOne spokesman Alec Baldwin this week provided a preview of his self-titled English Language Dictionary, following confusion among Americans over the real meaning of the word “queen.” Mr. Baldwin promises to update all editions. Queen: 1. (noun) somebody who’s just above, not having any necessarily sexual connotations. 2,(adj, queeny): aboveness. ex. “I know women that act queeny, I know men that are straight that act queeny, and I know gay men that act queeny”; not a definite sexual connotation, or a homophobic connotation. 3. (adj. queeny) A non-slur adjective if used by an open-minded registered Democrat. A slur if used by anybody else. Twitter. 1. (noun) social medial platform popularized by its simple design and restricted word count per post. 2. (noun) Celebrity meltdown software, often used by well-known persons to reveal their true emotional intelligence quotient through verbal bullying and homophobic/racist rants. CapitalOne customers can purchase Baldwin’s reference book at a fair. 28.99% APR. In stores never. Boot. 1. (noun) Footwear covering the ankle and sometimes lower leg. 2. (verb) to remove from an area a superior person or persons, often an actor or actress. Cell-phone. 1 (noun) an electronic device used to communicate via voice, text, or electronic mail, generally used with no consideration for surroundings. 2. A gaming device for grown men and women in confined places, usually in first-class on airplanes. 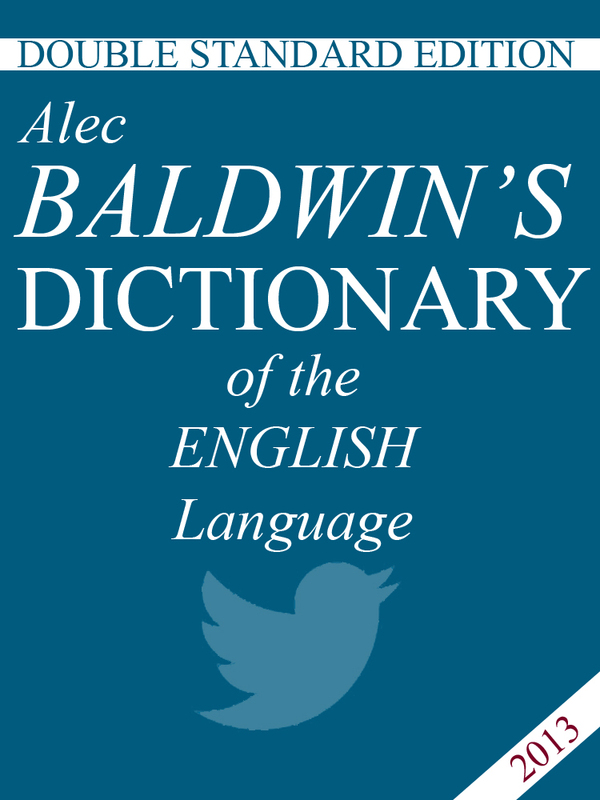 The publisher of the Baldwin Dictionary stated in a press release they expect copies to be available this Fall, unless a small vocal minority protest, then they will pull the book. Next > Book Flipping – the Robert Galbraith / J.K. Rowling book hits Ebay!